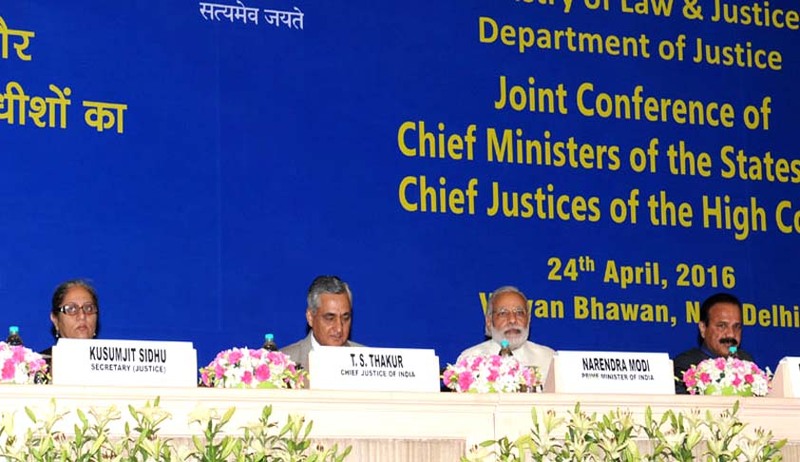 The Chief Justices Conference was held on April 23-24 and the resolutions adopted during the conference has been published today in the Supreme Court web portal. The following are important resolutions adopted. Take proactive steps to initiate the process of appointment of Judges in their High Courts by forwarding their recommendations in respect of current vacancies and for vacancies anticipated over a period of the next six months. Keeping in view the large pendency of civil and criminal cases, especially criminal appeals where convicts are in jail and having due regard to the recommendation made by the 17th Law Commission of India in 2003, the Chief Justices will actively have regard to the provisions of Article 224A of the Constitution as a source for enhancing the strength of Judges to deal with the backlog of cases for a period of two years or the age of sixty five years, whichever is later until a five plus zero pendency is achieved. State Governments shall ensure proper connectivity by video conferencing between courts and jails. In other States, efforts be made to strengthen and support the existing law schools to enhance the quality of legal education. Read the full text of the resolution here.